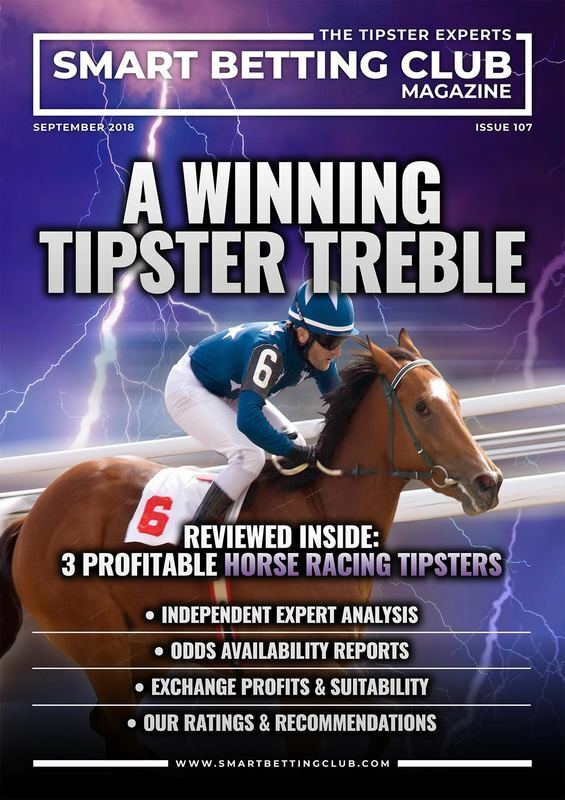 The latest SBC Magazine (Issue 107) has just been published and features detailed reviews of 3 new racing tipsters – each with profitable long-term records. You can read about each of the 3 tipsters, who they are and a lot more with access to SBC 107 – which is available to download the instant you join the Smart Betting Club as either a Silver, Gold or Platinum member. You can access your own copy of SBC 107 and our entire back catalogue of magazines the instant you join the Smart Betting Club. All Smart Betting Club membership options (Silver, Gold and Platinum) offer access to SBC 107. Simply choose the membership option that suits you best (view the membership comparison table here) and once signed-up, you will be able to instantly download the guide. Starting with the worst and earlier this week, I witnessed one of the funniest Twitter ‘Question and Answer’ sessions courtesy of the Racing Post who invited their followers to put forward questions to racing’s very own Derek ‘Tommo’ Thompson. 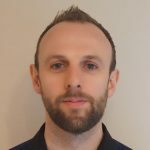 Whilst many will be familiar with Tommo as a racing presenter and commentator, he is also very well known in betting circles as one of the worst tipsters out there. Perhaps most notorious for once being out-performed by a tortoise (Yes really! ), this Observer article also recalls how Tommo managed to tip just 17 winners from 89 bets (all at very short prices) without a hint of shame. He also does a great line in unintentional Alan Partridge impressions as this now infamous video also proves. Sadly that is where the joke ends as Tommo has run a much panned tipster line for years…the type of which has attracted plenty of ire over the years. You know the score – Expensive service with no listing of results, tipping up short priced loser after loser and generally being awful. Those of you who have spent time researching and following different betting tipsters will know how difficult it can be at times to know exactly how much money they can make you. This is because tipsters (especially the Arfur Daley types) often use many different misleading calculations in order to show their own results in a good light. The good news is that help is at hand as I want to unravel a few such dodgy tipster practices and also show you one calculation we use here at the Smart Betting Club, which gives you the straight facts on any tipster. Claiming the past 3 months results will have made you £5000, when the 3 months prior to that may have lost you £8000! Claiming to have made £1000 profit, however you would needed to have risked £100,000 in order to make that. Tipsters that work to £500 per bet to try and make their profit figures look more impressive. It can be a jungle out there trying to find the right tipster but one way to ignore these misleading stats is to use a simple calculation called Return on Capital. Return on Capital (or ROC) is a really effective measure that translates how much your money has grown in relation to its starting point. It is a simple percentage figure, which is very easy to calculate – even Robbie Savage could work it out! Although if Robbie does join us here at SBC, he will see we also produce the ROC each month for every service we monitor. To explain ROC, say for example you put £5000 into a high interest account and at the end of the year you had £6000. Well your profit is £1000, but your ROC is the percentage increase, which in this instance is 20%. (To get this figure simply divide 100 by your starting amount – £5000 and then multiply by the profit – £1000). Sadly, these days you are very unlikely to get anywhere near that amount of ROC from £5000 in traditional savings accounts. This is why more and more people are turning to alternative ways of investing their money – such as through betting, where with the right people guiding you, the ROC can be very appealing. To help explain how useful ROC is a bit further, I am going to show you the exact ROC amounts for each of the 9 top-rated racing tipsters we recommended in 2010. If you have yet to do so, you can see all the profit figures for each of these tipsters at this blog post, but in the table below are the exact ROC figures. To unpack this table further, we recommend a betting bank figure for each service (2nd column) and next to that you can see the points profit for 2010 that this service made. In the final column is the exact Return on Capital amount in percentage terms. The top performer was Service 7, with a whopping 455% increase in 2010. To put that in financial terms, if you had started the year with £5000, this would have become £27,552 by the end of it. Of course they are by far and away the top performers, but still any of Services 3 through to 9 would have made at least 23.72% up to 147.27% ROC. Much more than any bank is going to offer you in the current economic climate! And if you find yourself approached by a tipster claiming results that look too good to be true, be sure to ask them about their own Return on Capital. If they don’t know what this is or refuse to answer, then you may well have dodged a bullet! If you find these kind of stats helpful then you will love our monthly Tipster Report, which gives you the latest ROC for around 35 of the very best tipsters out there. We also calculate other useful figures for you, such as Strike-Rate, ROI and our very own power ranking, which we call ROI+. All of these stats are provided for the most recent month, past 6 and 12 months as well as all-time performance. You have every possible stat to make the most accurate and informed choice as to the tipster(s) that will make you the most money! Sign up today for instant access with a Smart Betting Club membership. With the start of the New Year, it’s an optimal time to update you all on the progress of the 9 Hall of Fame racing tipsters I have been blogging about in the past few months, which you can also familiarise yourself with via my 2 previous articles from November and December. The big question therefore now that 2010 is done, is just what the exact figures were for the full 12 months if you followed each racing tipster in on every bet they supplied that year. That includes betting in all types of races, weather, courses and conditions and with all manner of race distances, jockeys, trainers and form to consider. My Granny might be able to make a profit over 10 bets simply by sheer luck, but over a full 12 months and a large number of bets – it takes real skill to eke out a profit. (Please note – the actual names of each tipster have been protected and are available to full SBC members only). As this table reveals there has been some outstanding results from this group of tipsters, with Service’s 3, 6 and 9 all achieving a Return on Investment of over 20%. What this means is that for every £100 you risked, you would win back at least £20 in profit. In fact 8 out of these 9 have all made a profit with only Service’s 1 and 2 making a small loss and profit respectively and so letting the side down slightly. Here at the Smart Betting Club, many of our members follow these tipsters together and combined all 9 would have made £9124 at just £10 stakes. On a basic points profit level this equates to 912.4 pts over the full year from 6838 bets at a ROI of 13.83%. Whichever way you look at it, the profits have been very strong and we have no reason not to expect this to be replicated in 2011. Those of you who have been following these blog posts may well be keen to know the final progress since I last updated on the 6th December (Read here). How exactly did the 9 tipsters fare in the last month of the year? This is especially relevant when you consider the arctic conditions across much of the UK, which made punting very tricky at times. Easily the most outstanding performer in December was Service 3, which picked up a 24.4 pt profit from the 24 bets advised at an amazing 131.89% Return on Investment. Noticeably 5 more tipsters also made a ROI in advance of 20%, with only Service 1 and Service 9 posting a loss. Once again if we combined all 9 into a Racing Tipster portfolio, the returns are outstanding with a 28.86% ROI and over £4610 at just £50 stakes from 373 bets. Of course, in reality, it wouldn’t make sense to simply lump £50 on every bet. Some tipsters have a higher strike rate or bet turnover than others meaning you’d burn through your money prematurely unless you set up a proper betting bank. For example in the whole of 2010, Service 7 advised 3654 bets, whilst Service 3 only gave out 259. It would be wrong to place the same amount of money on each bet so we adjust the amounts we place based upon each service and its strategy. For example – in the table below we have £80 on each Service 3 bet and £25 on each Service 7 bet. By using some sensible money management and employing what we call betting banks, you can make your betting much more efficient. Below is an example of the type of staking and subsequent profit levels we would suggest for each service this season. The average stake works out to be around £70 per point risked. The total profit via this method for all 9 services would be £35,450.64 and you would also have the peace of mind that you are staking correctly on each service. Now we’re not suggesting everyone should follow all of these racing tipsters, but it does give you an idea of the importance of varying your stakes depending on the service. If you are not familiar with the idea of a betting bank and are keen to find out more, than help is at hand as a member of the Smart Betting Club. As a new member you can access all our beginner’s advice on money management, which contains easy to follow guidance on how to apply all of this to your own betting. The learning curve for understanding it all is low and once you have a grasp on it, you could see your betting improve exponentially just like many of our members. Also, if you’re keen to find out all the details on the 9 racing tipsters above, their identities and how you can start following them, all of this is available as a Smart Betting Club member. We place thousands of pounds ourselves each week following these tipsters so as always we put our money where our mouth is. Sign up for a Smart Betting Club membership here today. With snow falling all across the UK and horse racing only taking place at the likes of Kempton and Wolverhampton last week, no doubt many of you who enjoy betting on the sport of kings (like me) will have been kicking your heels in the past few days. Whenever this happens I find it the perfect time for a bit of a catch-up and reflection on just how my own betting is going. Therefore I wanted to update you on the latest performance of the 9 top-rated racing tipsters that we monitor and report upon at the Smart Betting Club. To quickly re-cap, these 9 tipster services are all currently in our Hall of Fame – that is fully recommended by us as worth following with your own money. You can find my original article on the racing tipster performance between January and October here and with the publication of our latest Smart Betting Club newsletter (#55 out last Tuesday), we have all the stats from November to share with you. First off a look at how these 9 recommended tipsters fared this November, which isn’t always the easiest of months given the transition from flat to jumps racing. It was another profitable month, with 8 of the 9 services active (Service 3 resumed on the 1st of December) and 5 of these 8 making a profit. At £10 stakes, the return overall would have been £348.70, which converts to £3,487 at £100 a bet. The standouts from November were Service’s 2, 4, 5 and 6 who all made a Return on Investment of 29% or more (this basically means that for every £100 staked, you win £29 profit). The biggest loss of the month came from Service’s 6 and 7 although as we will see shortly, they have been on fire for most of the year, so we can forgive them one bad month! Of course, we should never read too much into just 1 month’s isolated performance figures as what matters most is that these services produce the goods over time. Here at SBC we are only interested in those tipsters that can repeatedly make a profit for our members, year in, year out. Anyone can get lucky over a short space of time and bag a few winners, but real skill only becomes obvious over time. On a side note, does anyone remember the test once carried out, which compared the performance of tips picked by uber-dodgy tipster Derek ‘Thommo’ Thompson against that of a tortoise? It’s become a bit of an urban myth but apparently the tortoise actually won, which just goes to prove the point about getting ‘lucky’ over a short number of bets. With this in mind, check-out the long-term performance of all our 9 top-rated racing tipsters since the start of 2010. Combined, these racing tipsters on the whole of performed very well, with a clear consistent profit from 7 of the 9 services. Each tipster has their own methodology, some advise multiple bets each day, some a handful each week and it goes to show there are many ways to skin a betting cat! The only disappointments are Service 1 and 2, although both of these performed very well in 2009 and are perhaps best considered ‘very patient’ options. With a number of newly reviewed racing tipsters pushing hard for a Hall of Fame space, the pressure is on them to improve before too long. If you are keen to find out all the details on the 9 racing tipsters above, their identities and how you can start following them, all of this is available as a Smart Betting Club member. Sign up for a Smart Betting Club membership here today and gain instant access to all our information. In the last few months I have been blogging on the details of our 7 top-rated football tipsters that we monitor as part of our service. You can find my latest blog post on this here. However, here at the Smart Betting Club we don’t just monitor football tipsters as we proof all manner of services focusing on sports as diverse as Darts, Tennis and NFL. At this moment in time, we currently recommend 9 different racing tipster services in our Smart Betting Club Hall of Fame. A Hall of Fame ranking effectively means we give that service a full recommendation as one you can trust to join with own money. We don’t just talk theory here as we follow most of these tipsters with our own cash so know what we are talking about. Such a ranking takes time to achieve with often a minimum of 12 months proven success, a strong professional operation and ease of following some of the main requirements. Below you can see the exact performance from all 9 of our Hall of Fame racing tipsters since the start of 2010. The vast majority of services have seen some outstanding performance, with Service 7 in-particular making some fantastic profits via their very busy approach. They average around 400 bets a month and at simple £10 stakes you would have made over £5,350 during this period. Many of our members follow this service at more than £30 a point, which would work out at over £16k this year alone. Thanks to our recommendation, Service 7 now operates a waiting list policy, but spaces open up quickly and it’s SBC members who are usually at the front of the queue because we are the only place to recommend them. Service 7 does take the focus due to its high bet approach but the best Return on Investment service is actually number 9, with 24.28%. What the ROI figure means is that for every £100 staked you would win £24.28 back. Not far behind on that front is Service 6 with a 22.13% ROI and Service 8 with 18.99%. All combined if you had followed the majority of our recommended services you would be showing a substantial profit. The only slight letdowns have been Service’s 1 and 2, which are both very long-term tipsters, which will reward those most patient. We are confident both of these will pick-up before long. In our most recently published SBC Issue we also shared our beginner’s strategy on money management, which contains easy to follow guidance on how to best follow these tipsters. Not sure where to start? How to follow most effectively? How much to stake? All of this and more in answered in this Issue and it’s a great time to get started.